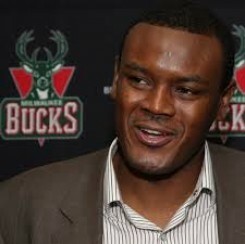 Dalembert was selected with the 26th overall pick by the Philadelphia 76ers in the 2001 NBA draft. After playing 8 seasons with the 76ers, he was traded to the Sacramento Kings for Andres Nocioni and Spencer Hawes on June 17, 2010. On December 26, 2011, he signed a multi-year deal with the Houston Rockets. On June 27, 2012, Dalembert was traded to the Milwaukee Bucks, along with the 14th pick in the 2012 NBA Draft, for Jon Brockman, Jon Leuer, Shaun Livingston, and the 12th pick in the 2012 NBA Draft. On July 19, 2013, Dalembert signed with the Dallas Mavericks. After much anticipation, Dalembert became a Canadian citizen on August 7, 2007 and joined the Canadian national team in hopes of qualifying for the Olympics. He was a part of Canada's pre-tournament training camp, taking part in games in both Toronto and Hamilton during the 2008 Jack Donohue International Classic, with wins over both Lebanon and New Zealand. However, Dalembert was later dismissed from the team during the World Olympic Qualifying Tournament due to a rift between him and coach Leo Rautins.